The Metal Factory is the world’s first metal music education, hosted at Dynamo in Eindhoven. 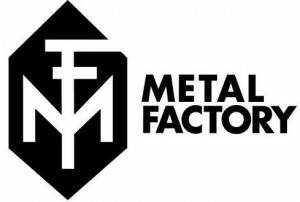 I’m honoured to be part of the Metal Factory team as vocal coach, besides awesome musicians and teachers like Ruud Jolie (Within Temptation), Rob van der Loo (Epica), Johan van Stratum (VUUR), Stef Brocks (ex-Textures), Danny Tunker (Alkaloid, ex-Aborted) and Bart Hennephof (ex-Textures). I also teach privately at my home in Eindhoven on Monday and Wednesday evenings (between 19:30 and 21:30 CET). Skype lessons are also an option, provided you have a good microphone and internet connection. For more information on my rates and availability please send me a message through the Contact section. Please note: current waiting time for a spot is about a month. I love teaching! I’m totally convinced that anyone, with the right amount of passion and hard work, can learn how to sing in any style there is. If I’m to teach you you can be sure I’ll do my best to make you feel totally comfortable to explore your instrument. I will give you tools and tricks to make the most out of your voice, and ways for you to hold on to that new knowledge so you can sing with confidence and focus on the emotion of singing! I specialize in classical singing, as well as metal, rock and pop styles. How does my singing technical background look like? For the past twenty years I’ve been working hard to improve my technique and learn more and more about the human voice and its possibilities. I have classical“singing roots”, having taken private classical singing lessons for about twelve years with amazing coaches like Mexican baritone Oscar Martínez and Dutch tenor Harry Ruijl. After moving to Holland I’ve expanded my knowledge greatly by immersing myself into modern techniques like CVT and the Estill Voice Method.